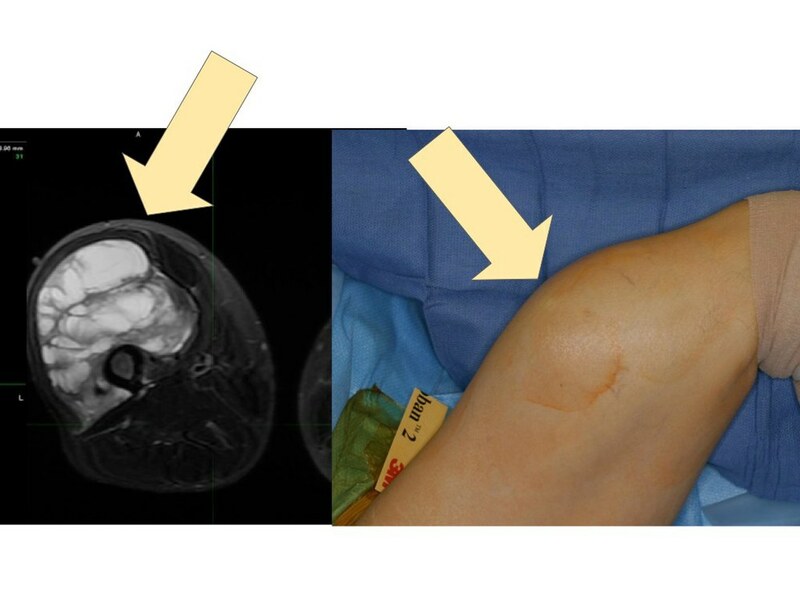 When surgery is performed for a bone sarcoma, the affected bone and some of the attached muscle is removed. After the tumor is removed, the missing bone needs to be replaced. In many cases this is done using a metal implant shaped like the missing bone. 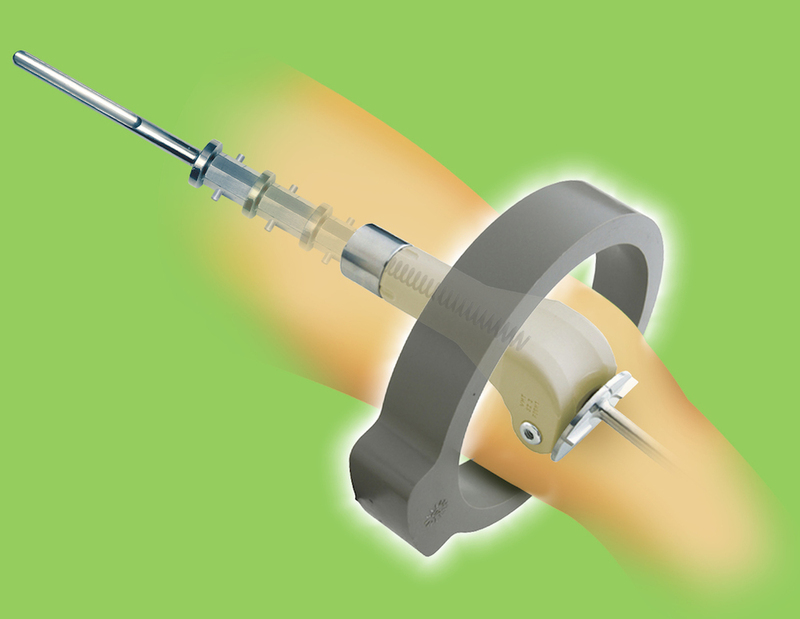 The detached muscles are re-attached to the implant or other nearby muscles, as needed. 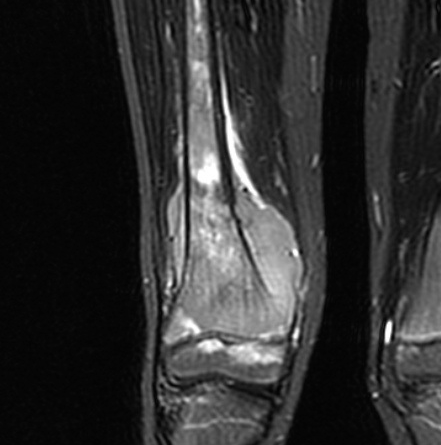 Since many malignant tumors affect the ends of bones, it is common to have to replace a joint along with the bone. This is most common for the knee, hip and shoulder joints. 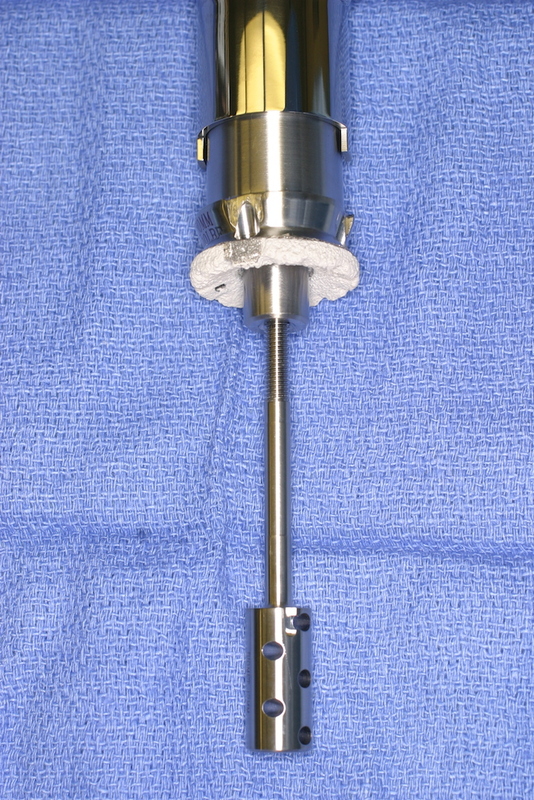 In these cases, an implanted joint prosthesis ("endoprosthesis") is used to replace the missing bone and joint. Endoprosthetic design has advanced tremendously and now off-the-shelf implants can be used to reconstruct almost any bone defect. The implants are “modular”, meaning they are assembled at the time of surgery from component pieces. When a bone tumor affects a child, not only must the surgeon reconstruct the missing bone, but must also plan for the child’s future growth. 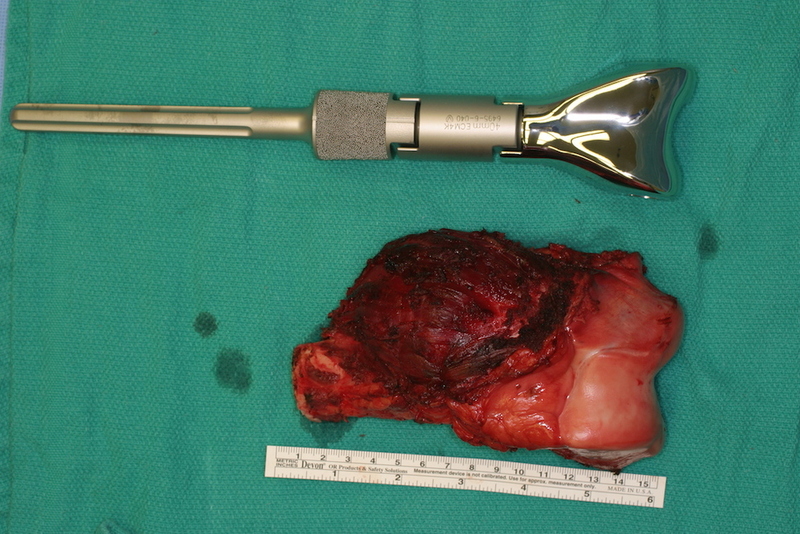 In these cases, an expandable endoprosthesis can be used. These implants are designed to be lengthened after being implanted inside the child. This expansion is done periodically via a minor surgical procedure as the child grows, keeping up with the growth of the other leg. Depending on how many years of growth the child has before reaching skeletal maturity, the original endoprosthesis may or may not need to be exchanged for a larger one as the child gets older. As with bone sarcomas, when surgery is performed for soft tissue sarcomas, a portion of normal adjacent soft tissue is removed along with the tumor. Typically, radiation therapy is administered before surgery for soft tissue sarcomas. As with chemotherapy for bone sarcomas, neoadjuvant radiation therapy (“neoadjuvant” = before surgery) helps make surgery safer and more effective. Removal of soft tissue sarcomas is among the most common surgeries performed by orthopedic oncologists. The size and location of the tumor will generally determine how much function the patient will lose after surgery. If the tumor is located in the inside or the back of the thigh - common locations for soft tissue sarcomas - patients can expect to lose only limited amount of function, even with large resections. However, these surgeries can be very complex and attention to detail is very important. Typically MRI is performed before and after radiation and extensive counseling of the patient is done before surgery. After surgery, physical and occupational therapy and sometimes lymphedema therapy (for swelling) are needed for a period of time. Careful planning and an experienced team are important in ensuring the best possible outcome.